It’s time to Get Your Ears On at Disneyland and Disney California Adventure! This colorful celebration starts at the Disneyland Resort tomorrow (January 18), and we have the inside scoop on some of the merchandise and treats that will be served up during the festivities. Get Your Ears On is a celebration designed to honor the animated world’s most iconic couple: Mickey and Minnie. As you can see, they’ve dressed up in their finest, specially themed birthday outfits for the party. Get Your Ears On preview! 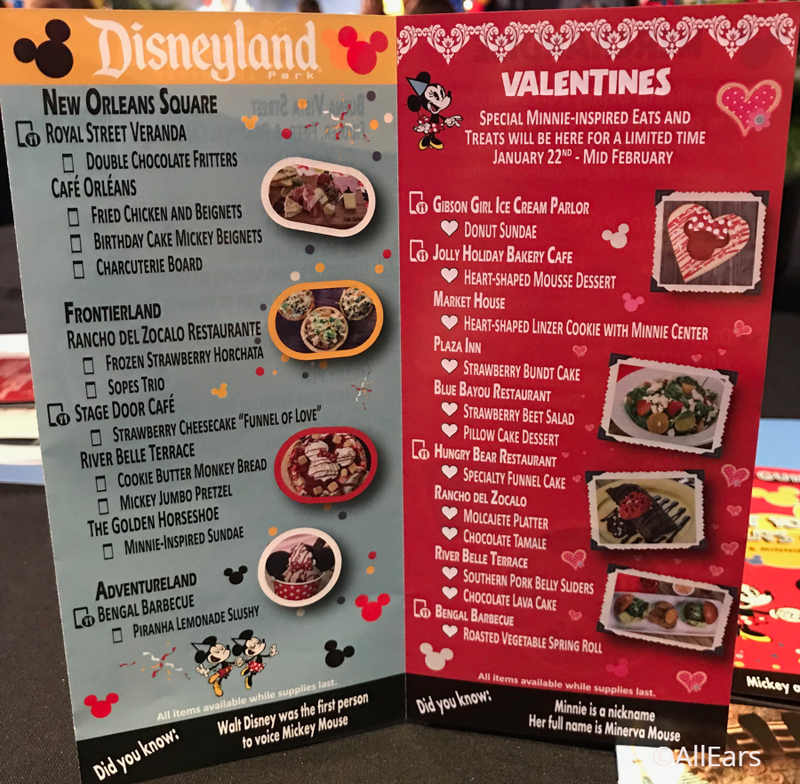 As with any Disneyland Resort celebration, there will be special themed merchandise and food. 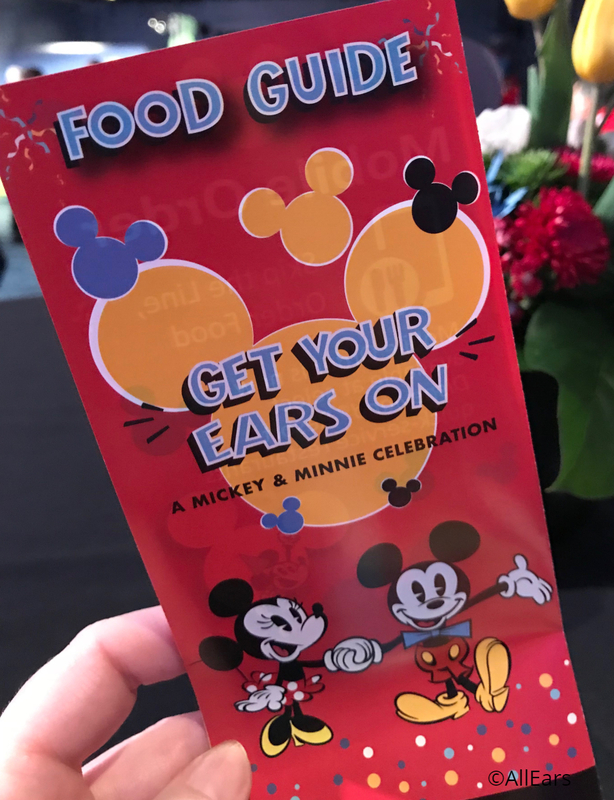 At the Get Your Ears On preview, we got a peek at both. First, a little pit stop for some merchandise! 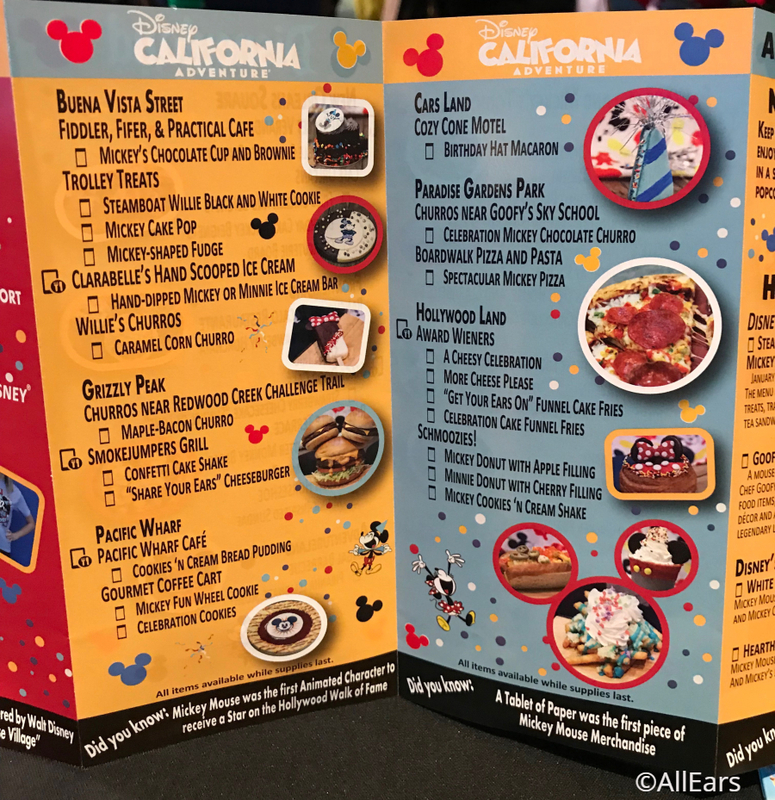 Guests will be able to purchase lots of fun stuff to commemorate their 2019 visit. 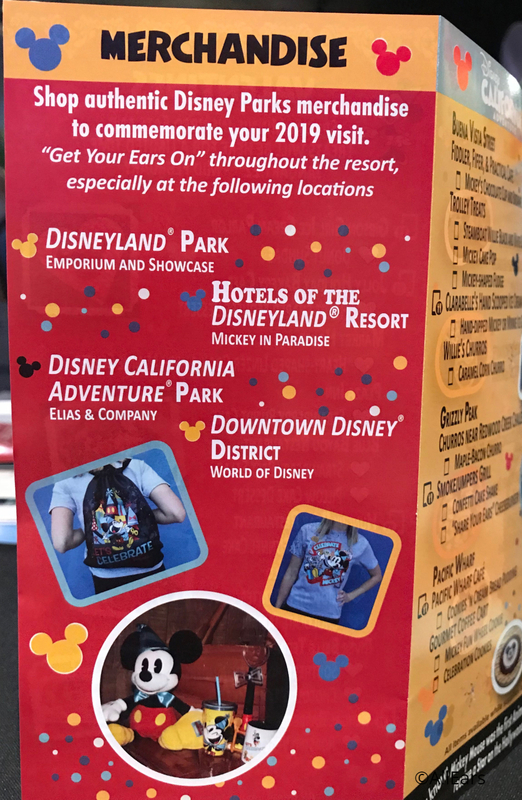 Merchandise locations include the Emporium in Disneyland Park, Elias & Company in California Adventure, and spots in the Disneyland Resort hotels! 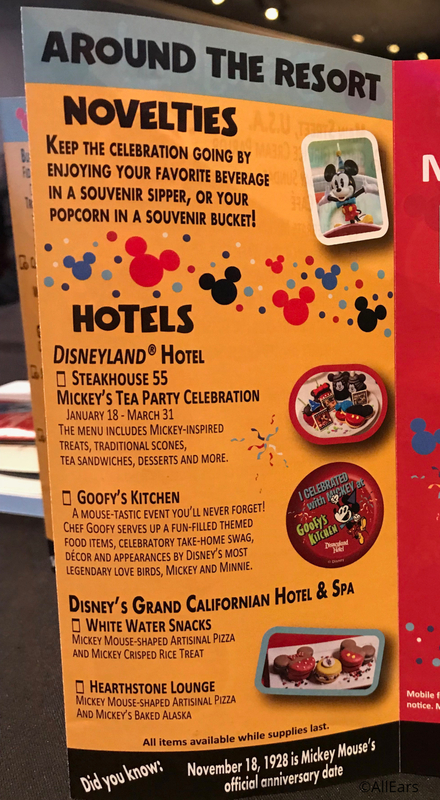 The hotels are also getting in on the action with awesome events like Steakhouse 55‘s Mickey’s Tea Party Celebration and Mouse-tastic fun at Goofy’s Kitchen! 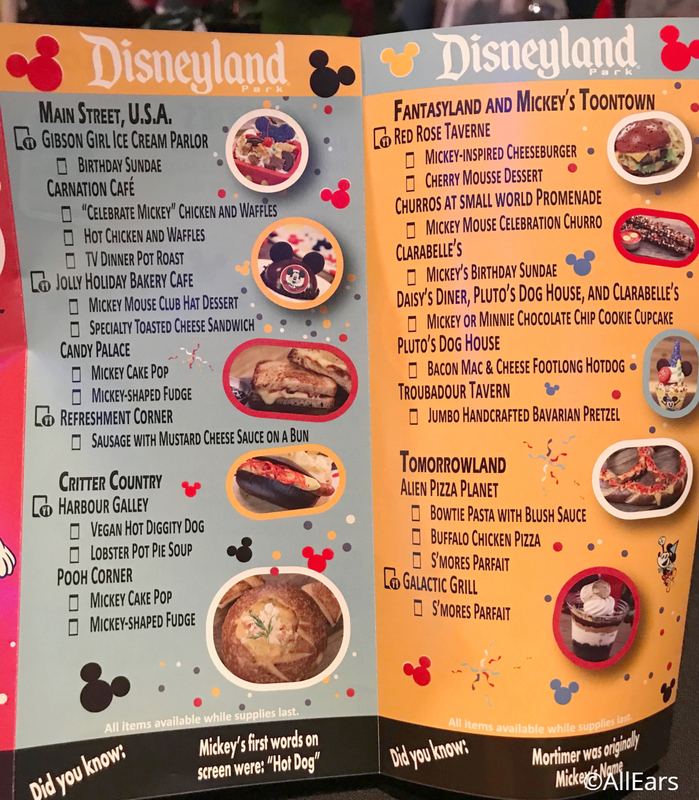 Disneyland Park’s featured foods include “Celebrate Mickey” Chicken and Waffles at Carnation Cafe, a Mickey Mouse Club Hat Dessert at Jolly Holiday Bakery, and (of course!) a Mickey Mouse Celebration Churro! Cafe Orleans is serving up Birthday Cake Mickey Beignets, while River Belle Terrace is adding Cookie Butter Monkey Bread to the menu. Yum! 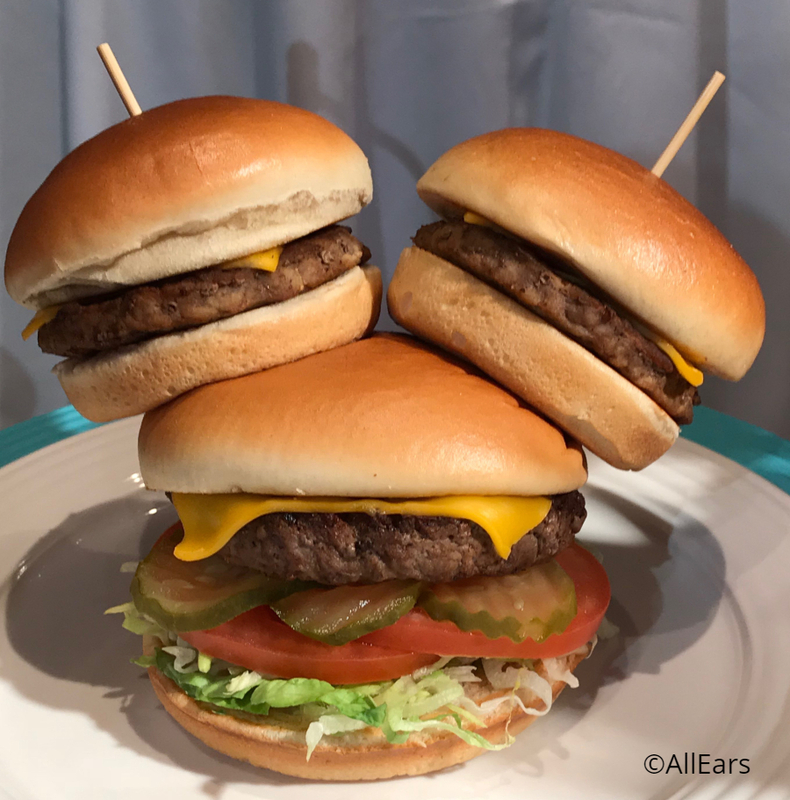 At Disney California Adventure, grab Mickey’s Chocolate Cup and Brownie at Fiddler, Fifer, & Practical Cafe; the “Share Your Ears” Cheeseburger at Smokejumpers Grill; and the (totally awesome!!) Birthday Hat Macaron at Cozy Cones! Here’s a closer look at the treats, which are compiled for you in this handy-dandy guide. 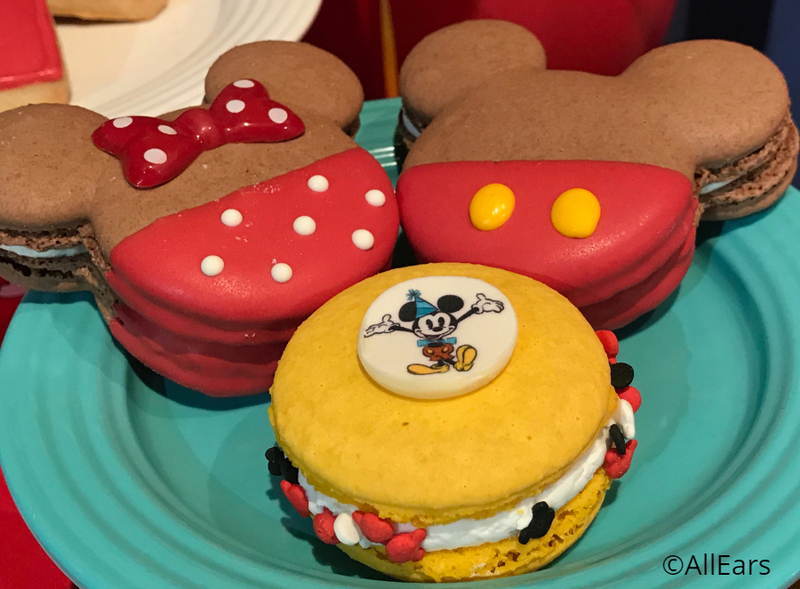 These Mickey and Minnie-inspired macarons are almost too cute to eat! 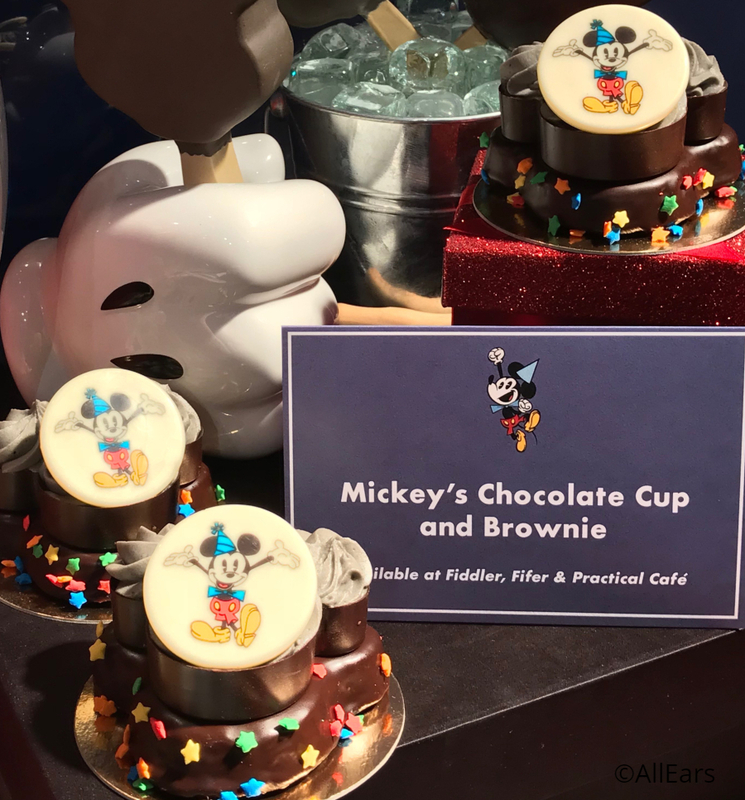 Mickey’s Chocolate Cup (filled with the Grey Stuff!) and Brownie can be picked up at Fiddler, Fifer, & Practical Cafe. This dessert looks incredible! 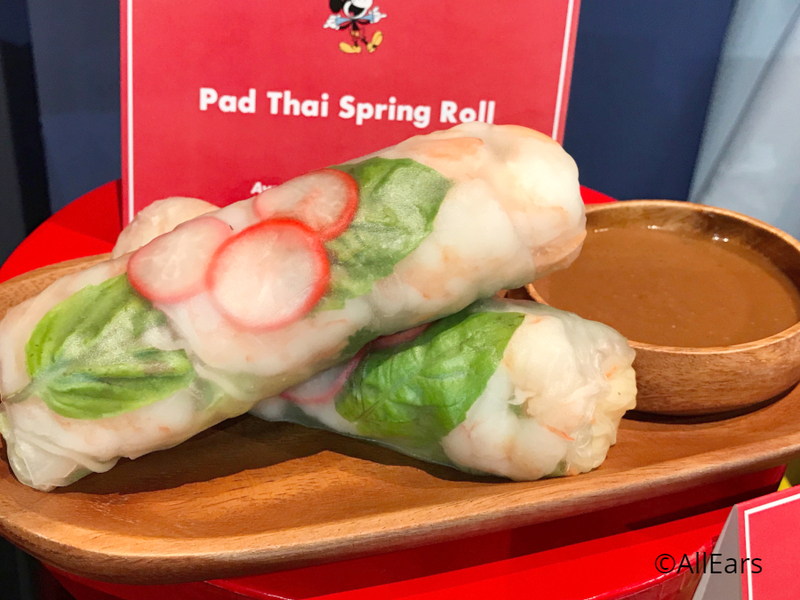 Bengal Barbecue is bringing a Pad Thai Spring Roll. This tasty roll is full of noodles and is a must-try. 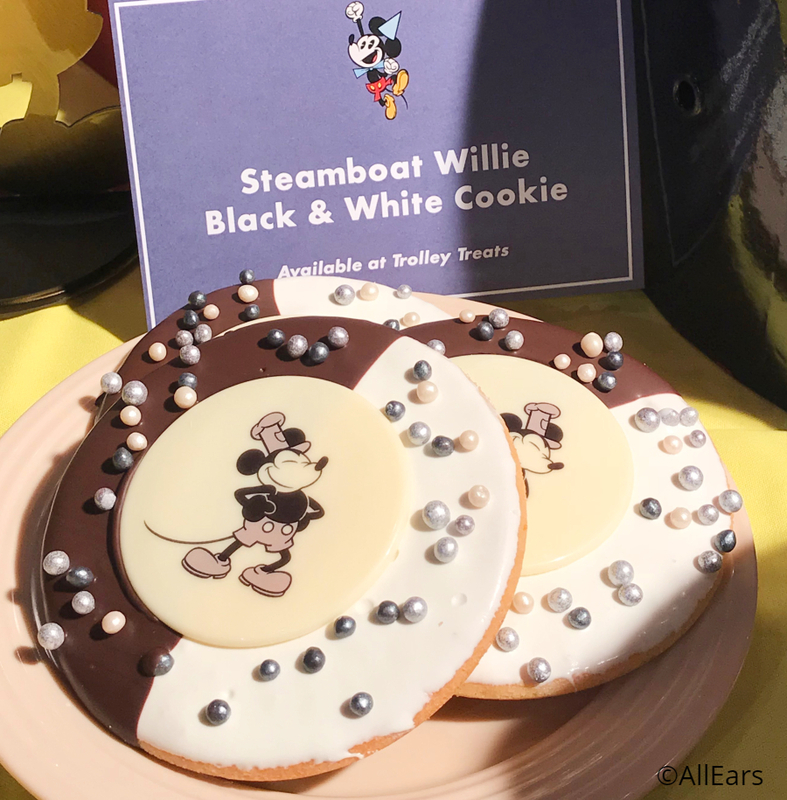 Trolley Treats has these Steamboat Willie Black & White Cookies with pearls and a white chocolate medallion. 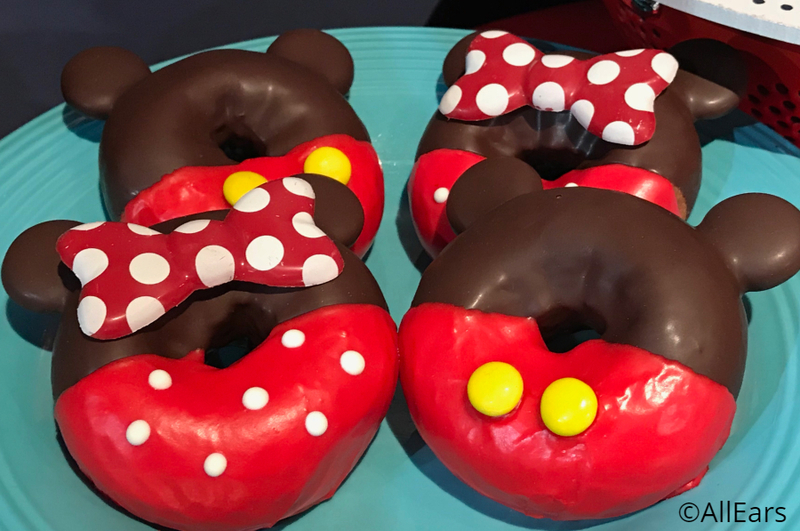 Mickey and Minnie Donuts are a delicious and adorable way to start the day! But perhaps the most exciting treat is the Birthday Hat Macaron, available at Cozy Cones. 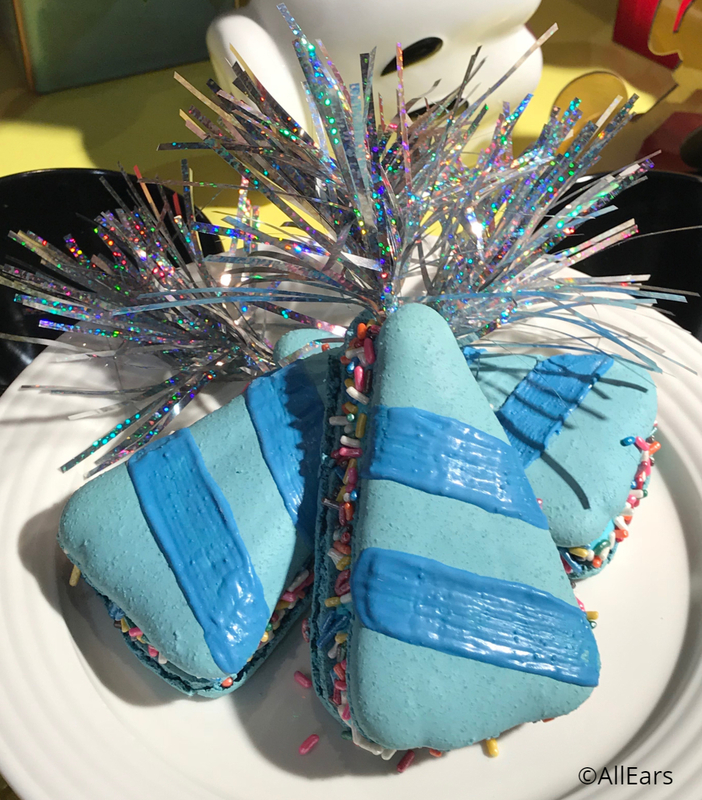 This macaron is an edible pinata! When you crack it open in the middle, sprinkles and Pop Rocks burst out — so fun! Remember, the celebration begins officially tomorrow, January 18, 2019! 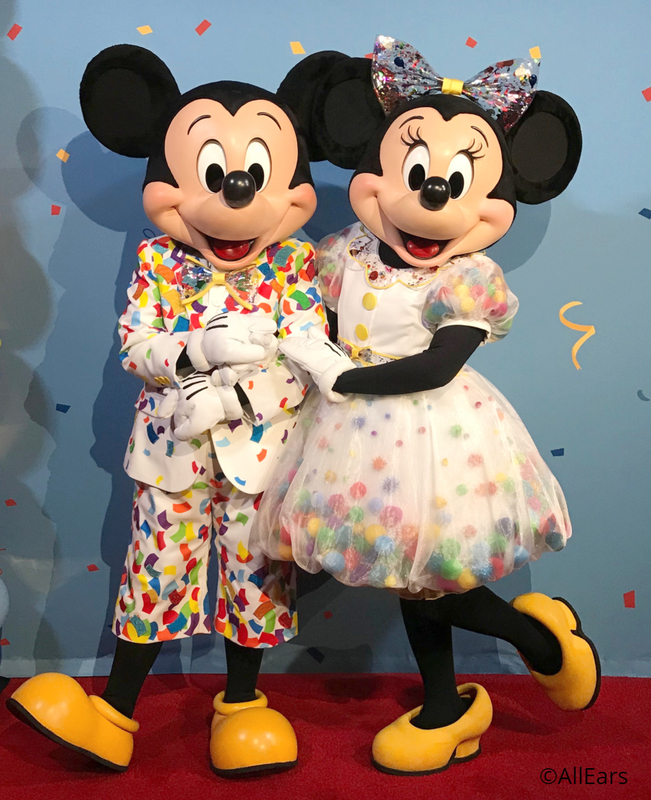 We’ll have more on all the festivities happening around the resort as it continues to celebrate Mickey and Minnie Mouse over the next several months. DISCLAIMER: AllEars.Net was an invited media guest at the Get Your Ears On preview at Disneyland Resort, however, that did not influence our opinions. Our opinions are our own. Previous PostPrevious Lightning McQueen’s Racing Academy to Open March 31!